The Burberry Kisses Sheer Lipsticks come in shiny gunmetal tubes etched with the classic Burberry tartan print. 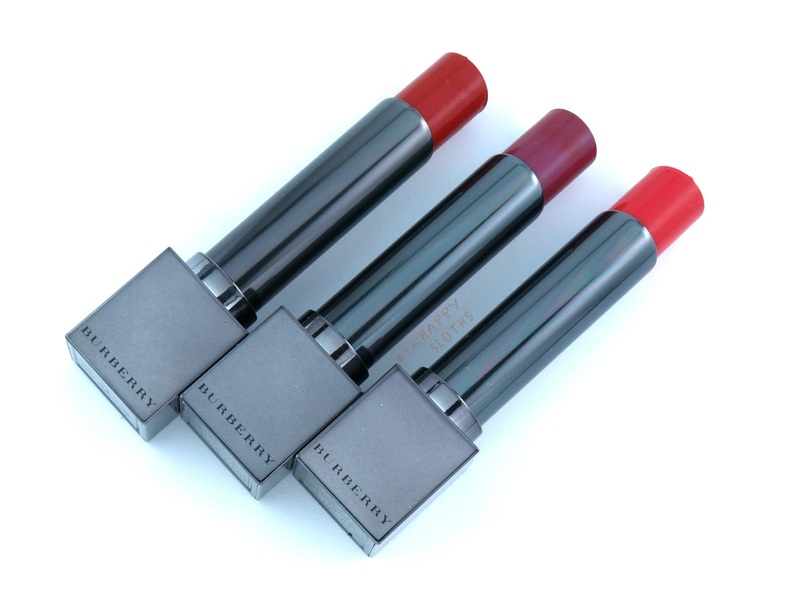 The rectangular packaging of the Burberry Kisses Sheers is slimmer compared to that of the original Burberry Kisses. The magnetic closure feels a bit weaker so the cap kind of flips and flops around, which is not great, especially if you plan on toting this in your purse. 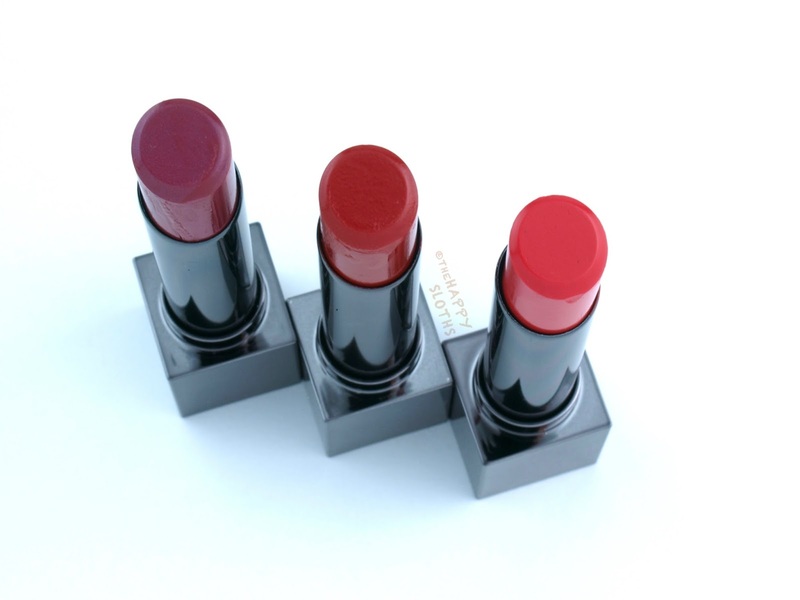 The lipstick has a flattened tip, which suits the softer formulation of the lipstick very well. 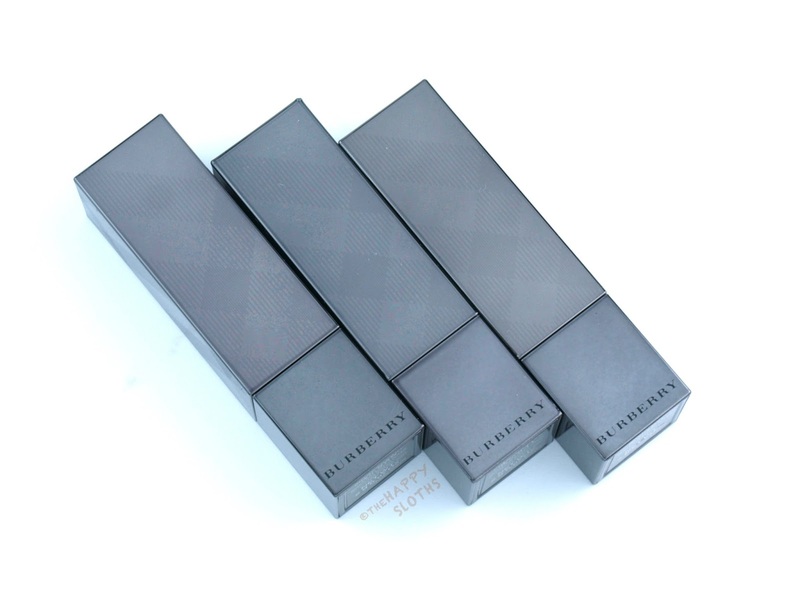 Infused with rosehip, tea and lavender, the Burberry Kisses Sheers have an amazingly soft and buttery formulation. The lipstick almost melts upon contact and I love how the colors are translucent yet vibrant. 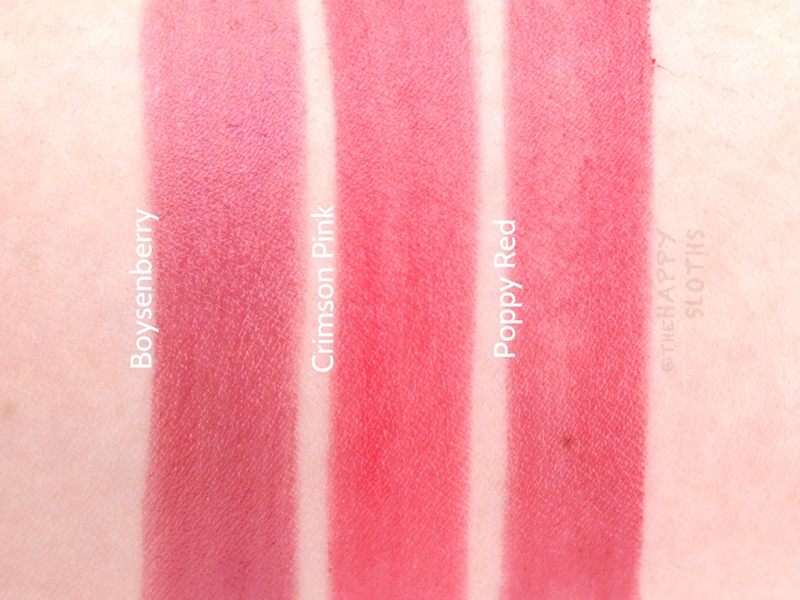 All three shades I have here are very versatile, one swipe for a sheer wash of color while a few more layers give a really beautiful, pigmented but still fresh application. 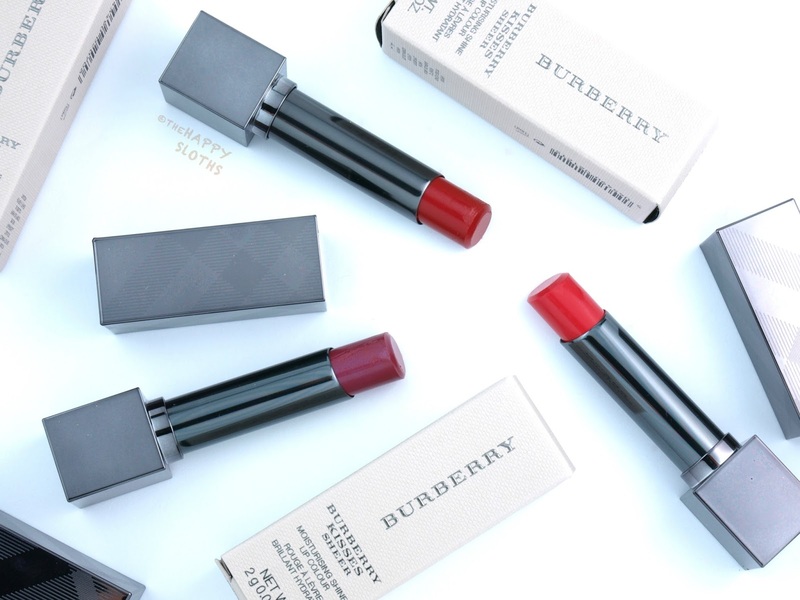 I honestly can't stress how comfortable and hydrating these feel on the lips; in terms of texture, the Burberry Kisses Sheers are better than some of the best lip balms I've tried. However, because the formulation is so slick and slippery, the wear isn't great. There is some minor bleeding as well, so these are best paired with a lipstick primer or a colorless lip liner. 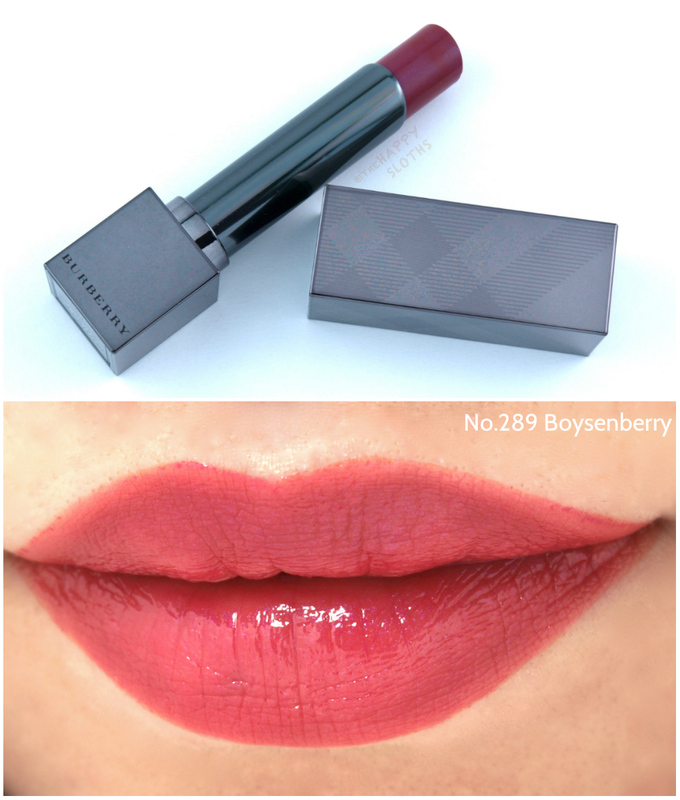 Boysenberry: This is a pretty medium berry with the slightest hint of shimmer. Crimson Pink: A very bold and bright warm pink, Crimson Pink is the most pigmented out of the three. 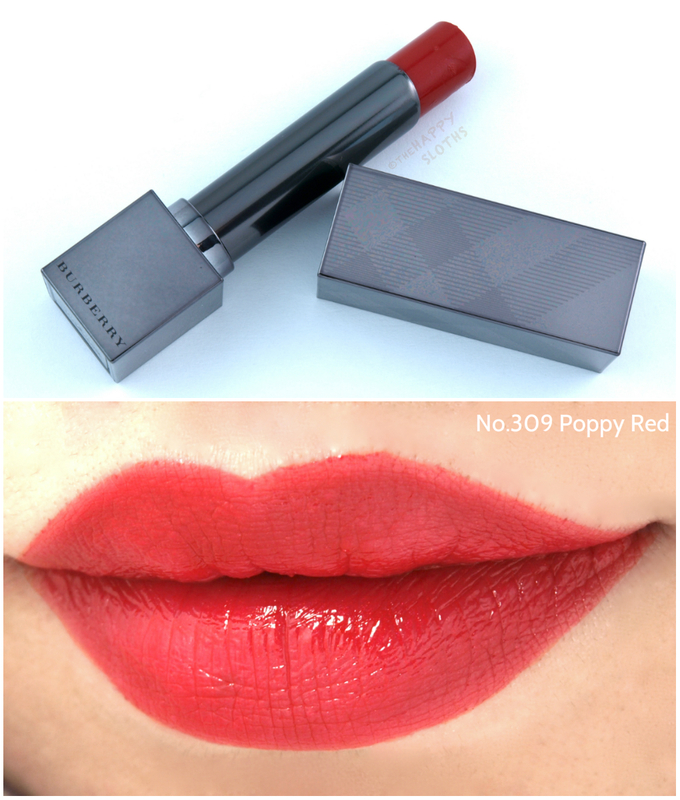 Poppy Red: This is a soft natural red that's buildable to a bright pinky red. 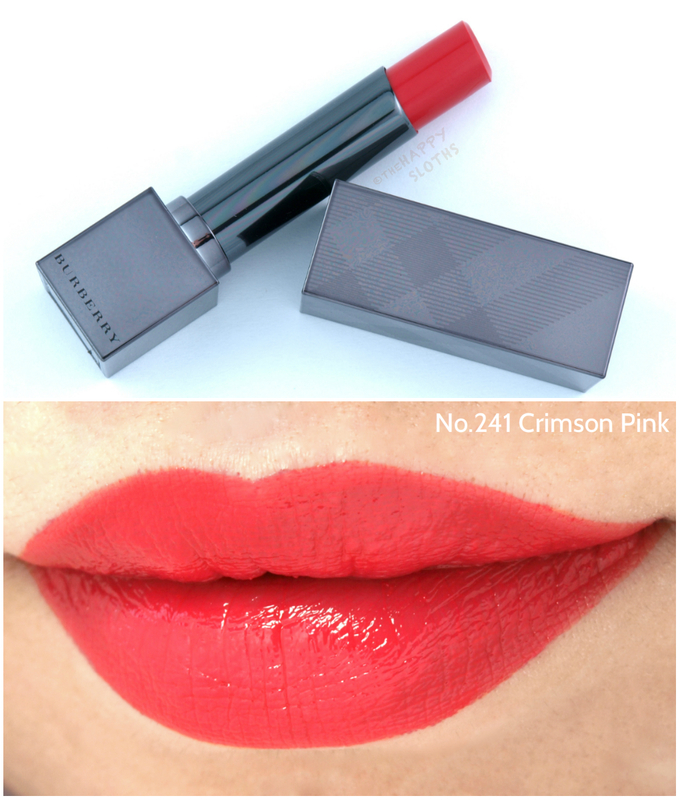 Burberry Kisses Sheer in "No.289 Boysenberry"
Burberry Kisses Sheer in "No.241 Crimson Pink"
Burberry Kisses Sheer in "No.309 Poppy Red"
Burberry Beauty products are available online at Sephora, Burberry.com, thebay.com and in stores at select Nordstrom, Sephora, and The Bay.